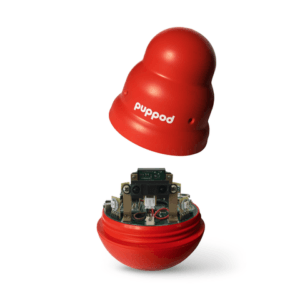 PupPod, a Seattle, WA-based provider of smart products for animals, closed a $772K seed funding round. The round was led by Dr. Roger Mugford, pet industry veteran and founder of The Company of Animals. Dr. Mugford has also joined PupPod as a strategic advisor. The company intends to use the funds to continue to develop products and platform for canine enrichment and pet parent engagement. Led by Erick Eidus, CEO, PupPod provides a platform and smart toys that leverage software to create games based on positive reinforcement. The PupPod Wobbler game leverages lights, sounds, and timing to create a smart puzzle toy. Game difficulty can be set using the mobile app. When a dog touches the wobbler at the correct time, they earn food rewards from a Bluetooth feeder and the game gets harder as a dog gets smarter. The app can provide pet parents with insights on how their dog is learning and calorie consumption. The next version of the game will enable new scenarios that treat dogs as participants of a connected home and allow pet parents to play with their dog remotely.